Can I just express to you all how much I love wearing all black? For some reason when the seasons change I somehow retreat to black, like it’s my comfort zone. Yet, I love wearing colors. Which makes this outfit dreamy. Selecting this jacket was a no-brainer. 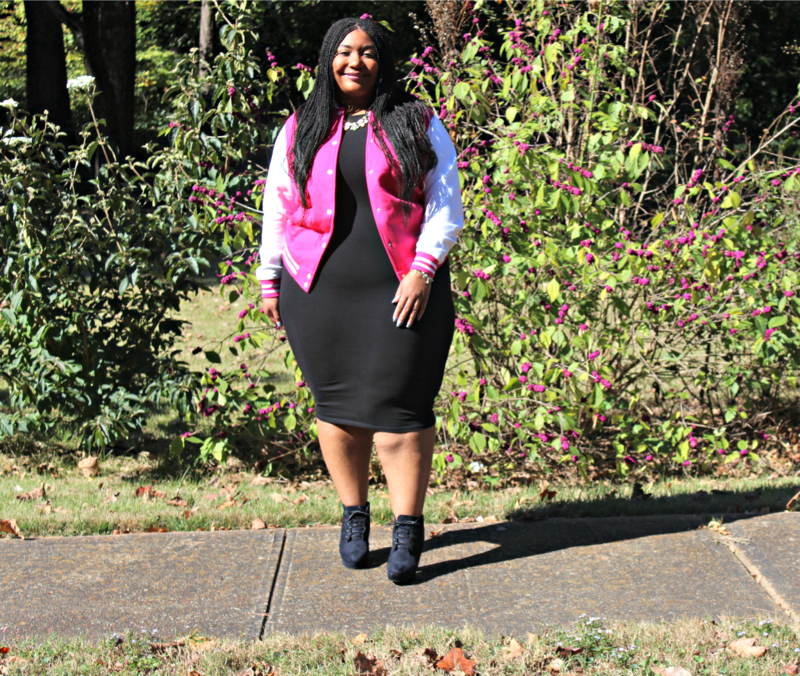 I love me some pink! 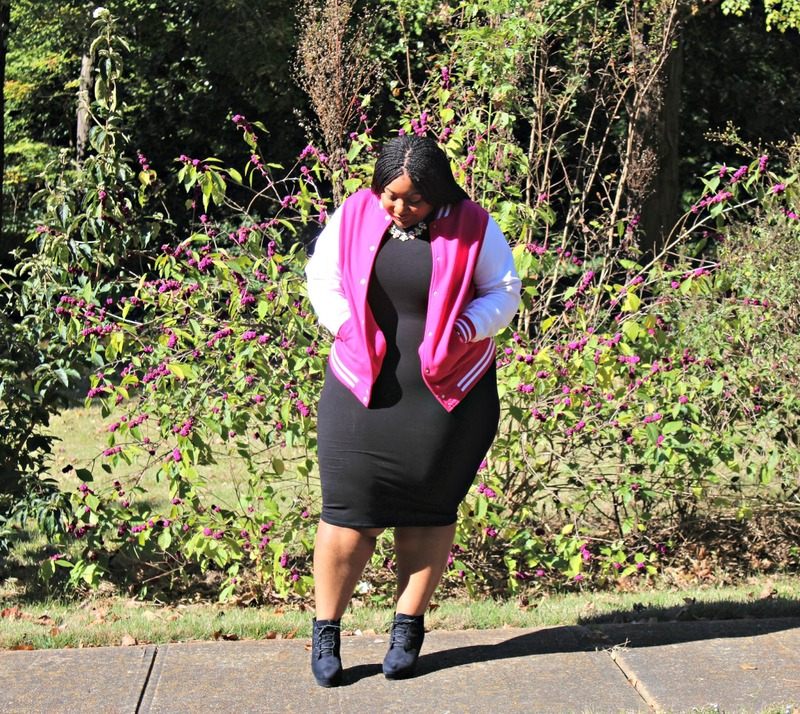 I have always wanted a varsity jacket, like since high school! 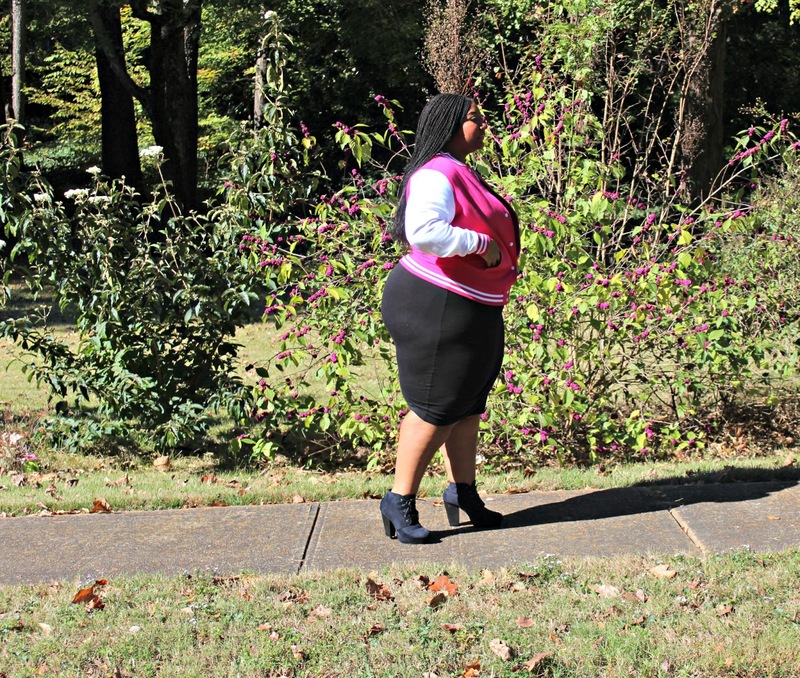 This pink varsity jacket is a girls dream come true. I knew I wanted to dress it up, I went with black. 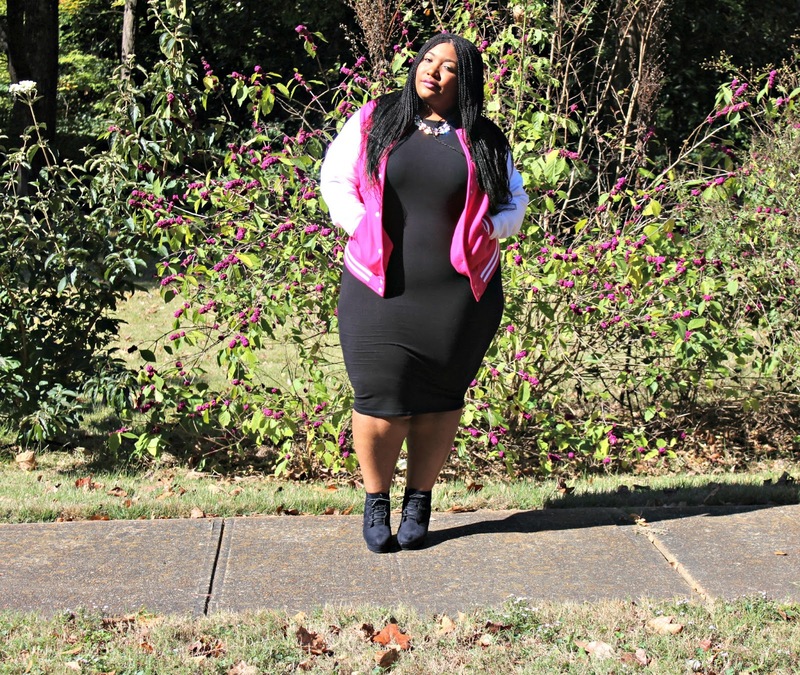 I literally had to decide which bodycon I would wear and I chose this one. I added my comfy lace-up booties to complete this look along with my silver statement necklace. 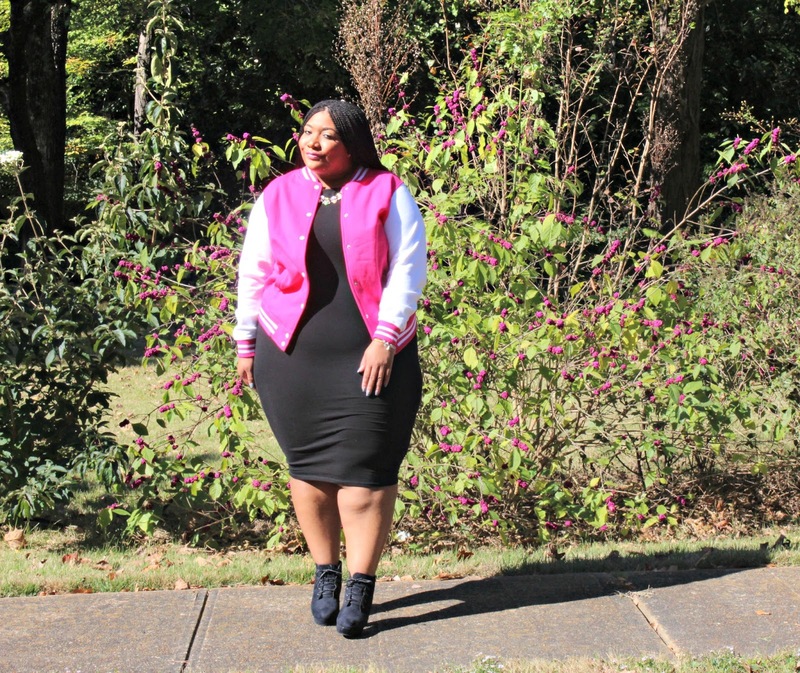 Style Notes: This jacket is true to size in a 2x. The dress is also true to size in 2x. My booties are true to size in a 10. 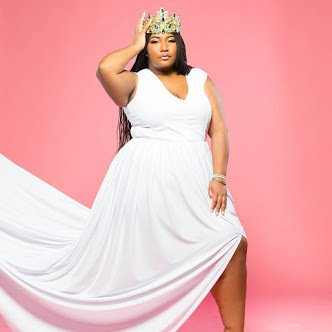 The fashion used in this post was provided by Rebdolls.com. 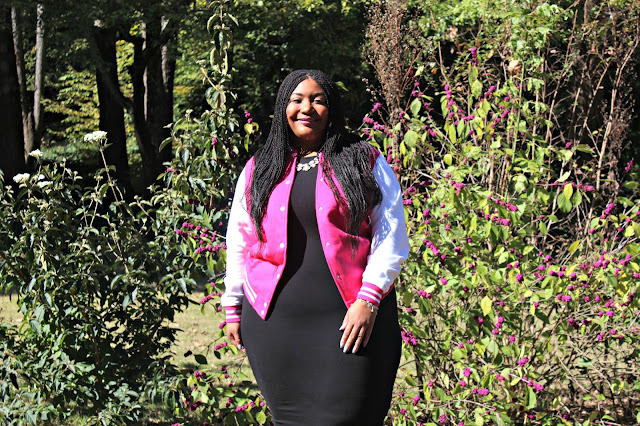 This blog post was made in collaboration with Rebdolls as a Brand Ambassador. All opinions are my own.